Considered as the deadliest strike against the U.S.-led coalition in the Afghan capital since the war began, 17 people including 12 U.S. Soldiers were killed in a suicide bombing incident in Kabul. 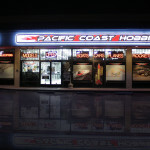 As news of deaths in the military overseas has become a recurring scene in the news, this particular one hits close to home for us at Pacific Coast Hobbies. One of the victims in this tragic incident is a cousin of Andrew Zamora, a staff member of ours who has been with the store since it’s early days. Andrew’s cousin, Sgt. Carlo F. Eugenio died in the suicide bombing in Kabul, Afghanistan. He was 29 years old and it was his second deployment overseas. Our thoughts and prayers are with Andrew and his family. We would also like to say “thank you” to Sgt. Eugenio for his courage and making our world a safer place.